Chattanooga Neighborhood Enterprise will host the third annual Money School on Saturday, April 1, 8:30 a.m.-1 p.m., at Brainerd Crossroads. Money School is a free financial education day open to the public. The event will include speakers and exhibitors providing hands-on learning opportunities regarding money management, debt elimination, increased savings, retirement and estate planning. The City of East Ridge will solicit ideas for its parks and recreation plan during a community meeting beginning at 9 a.m. on Saturday, April 1 at the East Ridge Community Center. 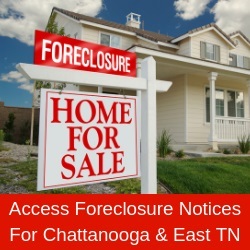 For questions, contact Amanda Miller at (423) 490-7088 or visit www.eastridgetn.gov. On Sunday, April 2 from 2-4 p.m., Barnes & Noble Hamilton Place will present an original, certified Bob Ross triptych for viewing. Owner Susan Schreiner is sharing Ross’ work to promote art appreciation in Chattanooga and support ART120 after the loss of the organization’s studio and workspace in a fire last Thanksgiving. The event will serve as a fundraiser for ART120. When a customer mentions ART120 during checkout, Barnes & Noble Hamilton Place will donate a percentage of the purchase to the organization. Customers can also support ART120 online at www.BN.com by entering code 12102257 at checkout between Sunday, April 2 and Friday, April 7. Mickey Cline, owner of Happy Little Paintings and Certified Ross Instructor, will do demonstrations of Ross’ techniques during the event. Cline will create signature paintings as well as sharing anecdotes about Ross and her experiences in becoming a CRI. Her paintings will then be sold to customers to support ART120. The new Chattanooga unit of the League of Women Voters will hold an organizational meeting Thursday, April 6, 6:30-8 p.m., on the fifth floor of the Edney Building, 1100 Market St. Marian Ott, president of the LWV of Tennessee, will present information on the League and its work. The public is invited. The LWV is a nonpartisan political organization encouraging informed and active participation in government. It influences public policy through education and advocacy. Both men and women are invited to join. Crabtree Farms will host its annual spring plant sale Friday, April 7 through Sunday, April 9. Hours are 9 a.m.-3 p.m. on Friday and Saturday and 11 a.m.-3 p.m. on Sunday. Products will include hundreds of fruit, vegetable and herb plant starts for spring and summer gardens. In addition to the sale, guests will be invited to enjoy food, live music, free workshops and local crafts. Crabtree Farms is located at 1000 E. 30th St.
Sculpture Fields will celebrate its first anniversary Saturday, April 8, 9 a.m.-9 p.m. Festivities will be free and open to the public. Guests will be able to see the installation of a 60-foot steel sculpture by internationally known sculptor John Henry, enjoy a performance by the Chattanooga Symphony and Opera’s wind ensemble, purchase concessions, watch artists paint and draw and finish off the day with the burning of a 15-foot wooden structure by artist Andrew Nigh. Sculpture Fields is located at 1800 Polk St., which turns off of Main Street. For additional information, call (423) 266-7288, email clifford@sculpturefields.org or visit www.sculpturefields.org. Chattanooga Latin Nights will take place Saturday, April 8, 7 p.m.-midnight at The Camp House, 149 E. M.L. King Blvd. Jesse Ramos from G2G Salsa will be offering a complimentary salsa dancing class. Live music will be provided by Carlos Colon & The Tropical Swing Band. Local artists Anier Fernández and Danny Siviter will be painting live throughout the event. Miguel Morales from The FEED Co. will be selling an entrée available only through the dinner package. A portion of the event’s proceeds will be donated to local music education organization Jazzanooga. Admission is $12 if purchased in advance through www.eventbrite.com/e/chattanooga-latin-nights-2017-tickets-32871524615 and $15 if purchased the day of the event. The dinner package costs $30 and is available for advanced purchase only. Author Michele Moore will discuss her new novel, “The Cigar Factory: A Novel of Charleston,” on Sunday, April 9, beginning at 2 p.m. in the Arts Building, 301 E. 11th St. The event is part of the annual South Bound author lecture series hosted by Southern Lit Alliance. Moore is the recipient of the 2016 Langum Prize in American Historical Fiction. Her novel tells the story of two families – one Irish American and the other African American – during the first half of the 20th century. Reservations can be made online at www.SouthernLitAlliance.org or by calling Ann Johnson at (423) 777-4223. Books will also be available for purchase at the event.